The Federal TRIO Programs (TRIO) are Federal outreach and student services programs designed to identify and provide services for individuals from disadvantaged backgrounds. 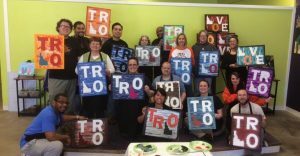 TRIO includes eight programs targeted to serve and assist low-income individuals, first-generation college students, and individuals with disabilities to progress through the academic pipeline from middle school to postbaccalaureate programs. TRIO also includes a training program for directors and staff of TRIO projects.